Paddington 2 is a charming sequel that manages to eclipse the original 2014 live action/CGI film by a good mile, thanks in part to a multi-cultural cast, a brilliant script and a fabulous performance by Hugh Grant. 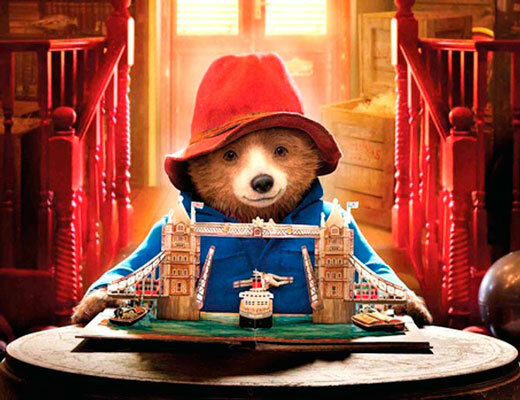 Very few sequels are so strong as to erase a first film's imprint, yet I found myself feeling more connected to this Paddington world of a sweet bear, marmalade and positive thoughts. Featuring another strong cast of British favorites, the producers wisely decided to add an equally strong culturally diverse supporting team, which makes up for the glaring all-white cast of the 2014 production. Paddington is inspired by his Aunt Lucy's 100th birthday to present her with a special gift of a very rare hand-crafted pop-up book about her favorite place, London. This lofty goal sets in motion a delightful chain of events that keeps the action flowing until the closing credits. 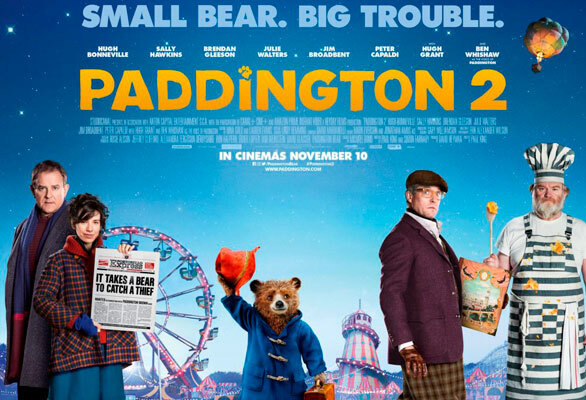 Hugh Grant - nominated for a Best Supporting Actor BAFTA Award - steals every scene as a has-been actor who competes with Paddington for the book, as he scampers through London, creating havoc and confusion for our loveable bear. 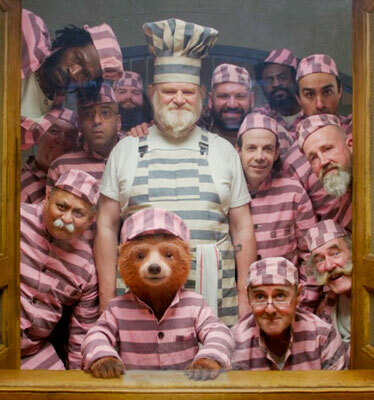 And who wouldn't want to see our Paddington in the Big House, sweetening a group of hard-bitten criminals with with his own particular brand of cuteness?